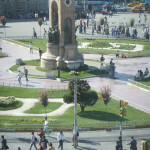 Taksim Square, in Beyoğlu, is one of Istanbul’s most iconic and energetic places. During the Ottoman period the site was a collection and distribution point for water coming from the Belgrade Forest. 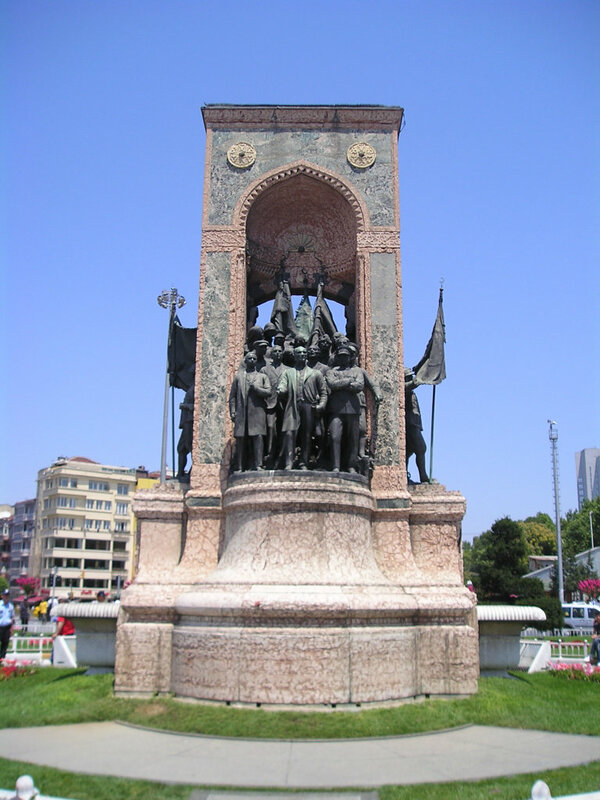 Taksim means division or distribution in Turkish. 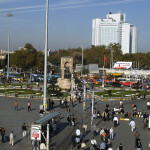 Taksim Square (Taksim Meydanı), in Beyoğlu, is one of Istanbul’s most iconic and dynamic places. During the Ottoman period the site was a collection and distribution point for water coming from the Belgrade Forest. Therefore Taksim means “division” or “distribution” in Turkish. 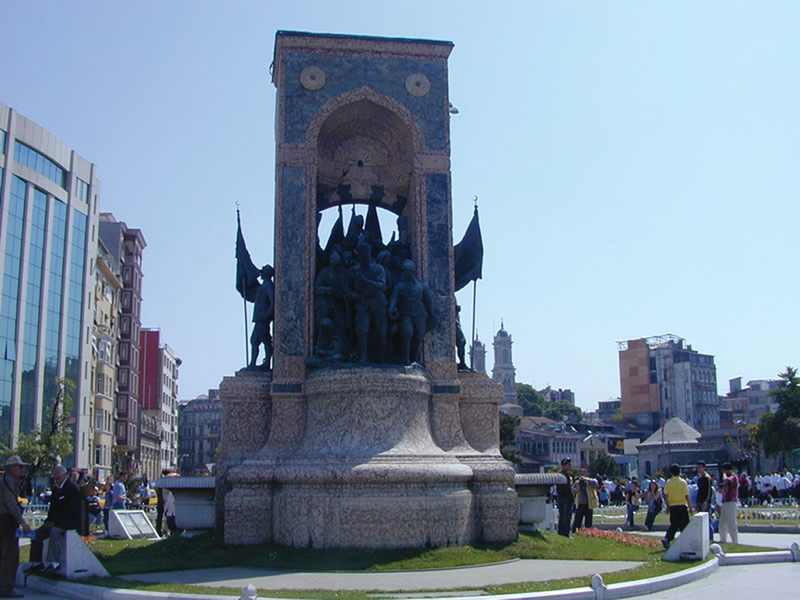 The Republican Monument, located in the middle of the square, was erected in 1928. 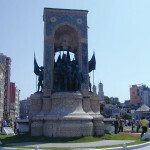 One side depicts the Turkish War of Independence, the other represents the Turkish Republic. 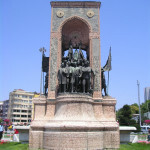 Mustafa Kemal Atatürk, the founder of the Turkish Republic, and his comrades in arms have a prominent place on the monument. 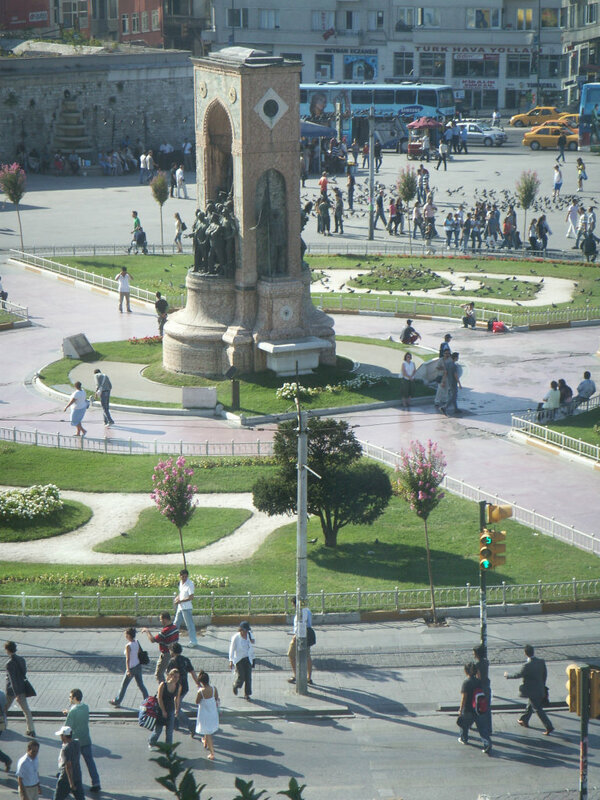 The area around Taksim is alive at every hour of the day, from dawn to dusk to dawn again. 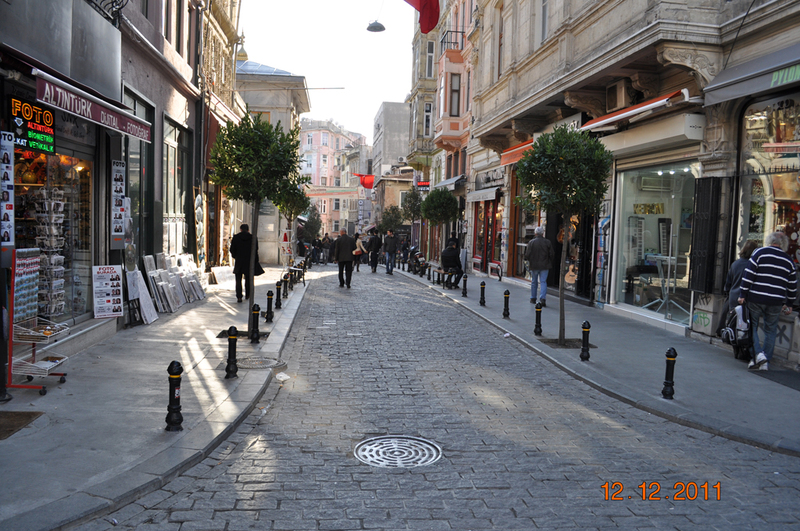 It is full of entertainment venues, residential neighbourhoods, cultural centers and plenty of shopping opportunities in boutiques, shopping centers and the special passages (Turkish: pasaj) that line the main street. 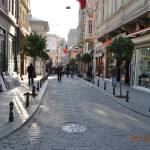 The nostalgic tram which begins in the square and continues down Istiklal Caddesi runs all the way to “Tünel”, the second oldest metro worldwide, which also gave the area its name. 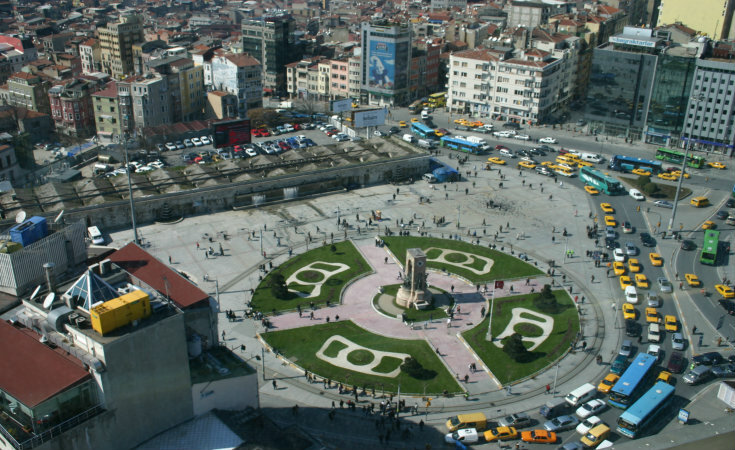 Taksim square and its surroundings are not to be missed. 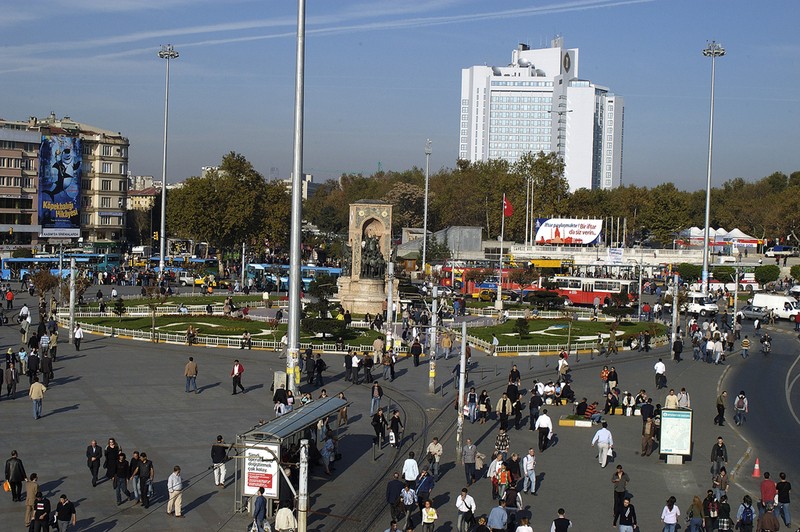 Take Tramway from Kabataş to Sultanahmet and then take Fenicular from Kabataş to Taksim.